LEIF Tech ESnowboard - It's an Electric RipStik with Training Wheels... and I want one! 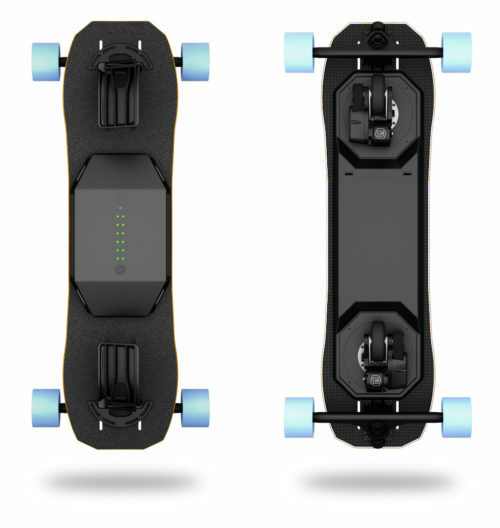 The LEIF Tech ESnowboard, whilst it moves a lot like a snowboard, is really more related to a RipStik combined with an Electric Skateboard. Granted the hooks for your feet on the top are very snowboard like, they're not entirely essential (and it's recommended beginners remove them until they're used to general riding around). 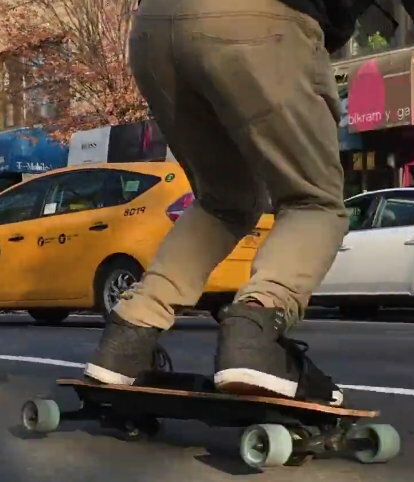 That said, watching someone fully proficient with riding a LEIF ESnowboard is kind of like watching a snowboarder riding on concrete in the Summertime... and it looks like so much fun. LEIF Capabilities from LEIFTech on Vimeo. 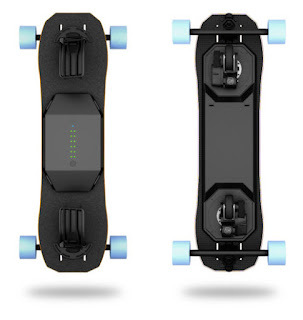 It appears the board is sturdy enough to jump up and down obstacles like stairs and ledges which immediately places it above most other electric skateboards for me. Most electric skateboards, generally are in the design of long boards and are used for getting from A to B. They're not particularly maneuverable and aren't really designed for tricks. Personally I can get from A to B with a regular skateboard. Sure it's not electric but I can practice tricks along the way. It makes the journey a bit more fun. I don't really see that with electric skateboards (though I will admit some of the all-terrain versions look pretty fun). They're mostly designed for carving and going relatively fast without pushing. Fun for a while sure... but, meh? The LEIF ESnowboard, on the other hand, has a lot of potential for all kinds of tricks beyond those shown in the promotional video. More than that though, it just looks like fun to me. Unfortunately the price is a little steep for my budget (well over AU$2000.00 + postage)... maybe if I'm extra good Santa will get me one? With any luck, these things will get popular and the price will come down. In the meantime I'm going to contemplate bolting a set of trucks to my own RipStik so I can imagine what owning a LEIF ESnowboard might be like. I wonder if you can get your feet out in a hurry if you trip or something? Or can your feet slip out of them by accident? Don't think it's good to go on the road though with traffic. Didn't think you'd be allowed. He goes sideways quite a bit that you wouldn't or couldn't do on a regular skate board. Your feet aren't locked in. They just sit under the hooks to enable you to lean side to side slightly more than on a skateboard. People tend to use electric boards for transport more than pure recreation. Personally I wouldn't ride one on the road but people do.